A few days back Gionee launched its octa core smartphone, the Elife E7 Mini for Rs 18,999 and now Intex has introduced its octa core handset for Rs 19,999 as well. The two are the only octa core devices on sale in India and will be battling it out against each other for a better sub Rs 20,000 smartphone. Display: The Gionee Elife E7 Mini carries an IPS touch display of 4.7 inches while the Intex Aqua Octa features a 6 inch IPS HD OGS touch display. Both the smartphone provide a resolution of 1280 x 720 pixels. Its a matter of personal choice if you want a bigger or a smaller screen. Processor: Both, Gionee Elife E7 mini and Intex Aqua Octa have been loaded with a MediaTek MT6592 octa core processor of 1.7 Giga Hertz and Mali 450 GPU. Both of them have the same chipset so it’s a tie in this regard. Software: Both the smartphones functions on Android 4.2 Jelly Bean platform and would hardly get any updates. But even if they do, they’ll reach 4.3 Jelly Bean so we’d call it a tie in this regard as well. Camera: Gionee Elife E7 Mini carries a swivel camera of 13 mega pixels with LED flash that can me used as both rear and front camera. On the other hand, Intex Aqua Octa features a primary camera of 13 mega pixels with LED flash and a secondary, front facing camera of 5 mega pixels. 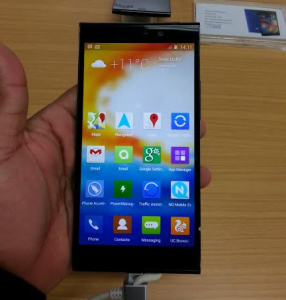 The Gionee offering surely takes the cake in this regard. 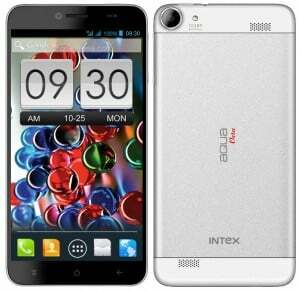 Memory: Gionee Elife E7 Mini offers 1 GB RAM while Intex Aqua Octa offers 2 GB RAM. Both the smartphone provide an internal memory of 16 GB. The Aqua Octa has an upper hand in the multitasking department. Connectivity Features: Both the smartphone carry connectivity features such as Bluetooth, GPS, Wi-Fi and 3G. Other Features: Both the handsets are dual SIM devices and feature a 3.5 mm AV jack. Gionee Elife E7 comes in pink and blue color variants while Intex Aqua Octa will come in white and black colors. Battery: Gionee Elife E7 Mini runs on a battery of 2100 mAh whereas the Intex Aqua Octa runs on a 2300 mAh battery. The Gionee device will be the one giving you a better battery back up in all likelihood. Our Take: Gionee Elife E7 Mini and Intex Aqua Octa are both really good smartphones with almost similar features. It is hard to choose one as a clear cut winner. Though, Gionee Elife E7 Mini provides you with an advantage to use its 13MP swivel camera both ways, Intex Aqua Octa provides bigger display, more RAM and better battery. 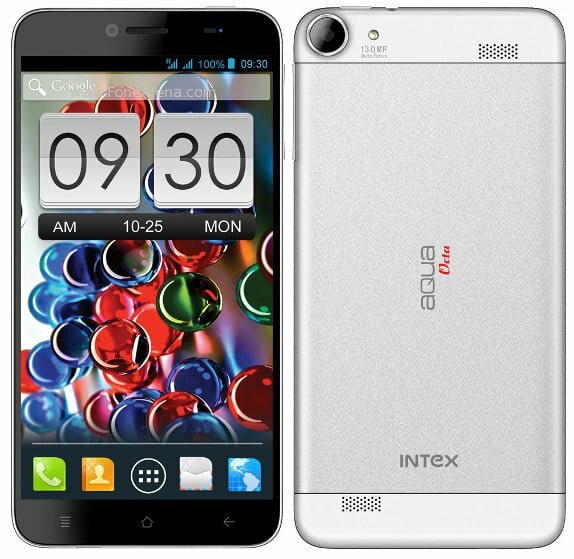 My personal choice will be the Intex Aqua Octa. What about you?